In a lawsuit filed Thursday in New York, the Satanic Temple is suing Netflix and Warner Brothers for damages, alleging the show portrays an image of their statue of Baphomet as evil, when it's meant to be a symbol of good. A television show filmed in Metro Vancouver is at the heart of a $50 million copyright lawsuit filed by the Satanic Temple. 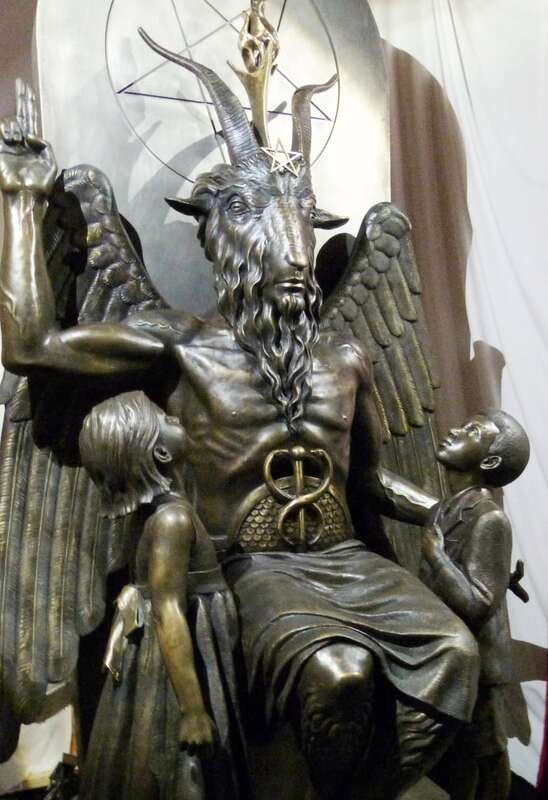 The Netflix series The Chilling Adventures of Sabrina has raised the ire of the U.S. group over its use of a statue of the demon Baphomet. In a lawsuit filed Thursday in the U.S. district court of New York, the Satanic Temple is suing Netflix and Warner Brothers for damages, alleging the media giants ripped off an image of their statue and portrayed it as evil, when it's meant to be a symbol of good. The Satanic Temple alleges it created the statue of the goat-headed demon — called Baphomet with Children — that's copied in the Sabrina series, which follows the story of a young half-witch torn between mortal and magical worlds. In the show, the statue sits at the centre of the Witches Academy and, at one point, cries blood. Baphomet is generally regarded as a greater demon of hell. The deity is historically connected to the story of the Knights Templar, a prominent holy order during the Crusades. Since the Crusades, the deity has widely been associated with the occult. In the civil suit, the Satanic Temple alleges that the series makes out the Baphomet statue is a symbol of evil. It maintains that Satan is more of a literary figure who should be admired for his rebellion against tyranny and encouragement of freedom — far different from the Satan depicted in the Sabrina series, who tries to trick and enslave the young half-witch. Warner Brothers and Netflix declined comment in emails to CBC, citing pending litigation.